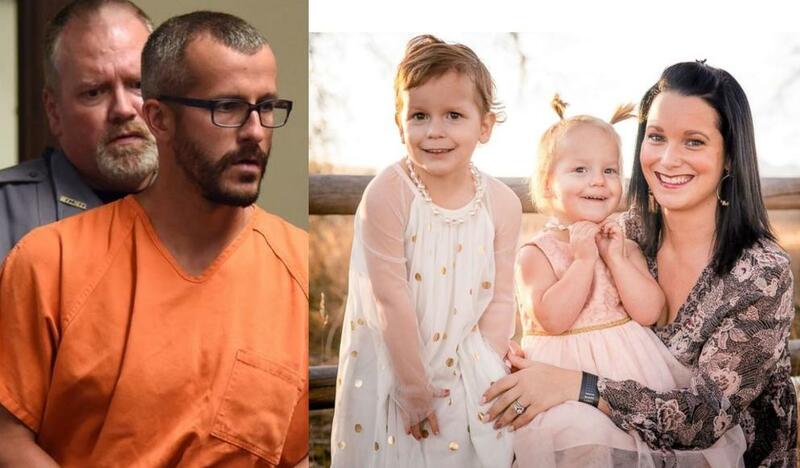 Chris Watts from the outside looked like a man living the American dream, nice house, nice truck, and a beautiful wife and two beautiful girls. But something inside him wanted away from his family and he met a new lover first on Tinder, then a second from his work at an oil company called Anadarko. When he was at home, his wife Shannan would often do live videos on Facebook about a product she was involved in selling called Thrive. The bizarre thing about today's world is EVERYTHING is on camera, and keep that in mind as we go through Chris's story. Here we can see his wife doing a live stream promoting her product with Chris in the background looking like he wants to strangle the dog. It wasn't around the last few months when the pair decided to spend some time apart, Shanana went to live out of the state for six weeks. This is key and where the crime begins, Chris claims to have last seen Shanann and the kids after she got back from the airport around 2:00 a.m. He claims he went to bed and got up around 5:00 a.m. The next morning and did his usual get-ready-for-work routine. It wasn't until several hours later that Chris began receiving frantic calls from a friend of Shanann's named Nicole. Chris could see from their home video surveillance system that she was standing outside the front door and she was looking for Shanann. She said she had been trying to reach Shanann for several hours and it was very unusual for her not to answer. They were not just best friends but worked together in direct sales meaning it was vital for each other to answer when the other called. Now, this is when Chris's plan starts to unravel, he wasn't expecting Nicole to show up to the house and when Chris said he couldn't get a hold of her either she notified the police. The police met Nicole at the Watts residence but could not get in until Chris arrived with the keys. Sure enough, Chris leaves work and comes home where he meets with a police officer who asks to see the inside of his home. Now, Chris's entire plan is starting to unravel and he arrives home, quickly shakes the officer's hand and enters through the garage of the home. Nicole and the officer follow Chris inside as Chris acts as if he is frantically searching the house. At some point, Nicole speaks with the neighbor of the Watt's residence who has a surveillance camera set up to detect motion which happens to also see the Watt's family garage, driveway and front yard. Chris Watts is clearly distressed in the video, but not in the way one might expect if they were concerned about their wife and daughters. The neighbor's camera only picked up two things from the night before, Shanann's arrival from the airport around 1:57 a.m. and Chris backing his truck halfway into the garage and just out of sight of the security camera around 5:30 a.m. Chris repeatedly tells the officer I was leading up my laptop bag, water bottle, tool kit, and assured them it was all part of his normal routine. At one point the neighbor's television shows a fetus and it prompts Chris to add that Shannon is 14-15 weeks pregnant. When Chris finally exits the residence to talk to a detective, the neighbor gets a minute alone with the officer and tells him that his camera picks up everything even the cars down the block if they move or headlines go by. He also tells him that he feels like Chris, who is normally very quiet, is acting very strangely and seemed more concerned with covering his own tracks than finding his family. Well, it turns out this neighbor's intuition was spot on and detectives weren't buying Chris's story either. Chris was eventually taken to the police headquarters and interviewed. He came of his own free will and even agreed to take a polygraph test. Guess what? Never agree to take a polygraph whether you are innocent of a crime or not. They are not admissible in court and are purely an interrogation tactic, one that works quite well on Chris. He is soon talking more than ever about trivial things at work, things from his childhood, anything but his missing family and that clues of the polygraph specialist from Colorado Bureau of Investigation (CBI). Needless to say, the police tell Chris he failed the polygraph and now its time to really level with them. It only takes about two hours, and a brief visit with his father for Chris to admit to killing Shanann Watts by strangling her to death. He tells his father in hushed tones that he found Shanann had strangled the kids to death after they got in an argument over an affair he was having. His father is absolutely devastated and the reality of the situation begins to hit them both. His father clearly knows it will be the last his son ever has freedom and he can't believe that Shanann would kill her two little girls who she loved very much. But Chris is adamant that it is his wife he killed the kids, he only flew into a rage and strangled Shanann when he saw what she had done. He even admits to where he dumped his family's bodies. Shanan got the honor of a 2-foot hole in the dirt which took Chris 20 minutes to dig while each of his daughters was literally stuffed into the top of giant oil and water tanks. The opening was described as being roughly the width of two paper plates and when his daughter's body was recovered there were scratch marks near her buttocks from being stuffed into the hole. With a confession, overwhelming evidence which included the neighbor's security footage, Chris was facing the death penalty and it was a slam dunk case for the prosecution. But now, the mother and father of Shanann, Chris's now murdered wife, begged for his life to be sparred and did not want the death penalty sought by the state if Chris agreed to a life sentence without the possibility of parole. Chris pleaded guilty and was promptly sentenced to life in prison after a fear tearful testimony's from both Chris's and Shannan's parents. Now, the first footage of Chris in prison has emerged. He was taken to a level of the jail that was not even in use where he had everything from blood work taken, shoe size, finger and toe prints, he was shaved and photographed, all in preparation for his new life as a caged human being. Experts including former warden's of prisons have stated that Chris will most likely face a life of looking over his shoulder in segregation because it will be too dangerous to put him in general population. Even criminals have a code of honor and killing children is the lowest form of human being in their eyes. Most prison politics have rules stating that any child molesters or child killers are to be smashed on sight, that means beaten or maybe even killed. He was later moved out of state in another measure to protect him in hopes of moving him to a jail where he will not be so recognized. That will not solve the problem, people talk between prisons and his paperwork will be checked if he is put in general population and he will get his wig split. One more creepy thing to note that a Twitter user pointed out was that while Chris and the police were watching the neighbor's TV, a video of an unborn baby pops up right after what appears to be a skull in oil.